One of Woody Allen's main problems is that of reputation. To some he's a smug, brazen creep and sexual predator with ideas above his stations whose continual references to being Jewish and jazz music are as appealing as an unanaesthetised trip to the dentist. To others he's a God of film, a writer/director/star in the mold of Chaplin who brought the energy of New York stand-up to cinema and combined it with the moral philosophising of Bergman, Fellini, et al. If you're looking for an objective exploration of Allen's true character and level of talent in Robert Weide's documentary then you'll be sorely disappointed - there are unprecedented levels of unfettered sycophancy on display here. It's less a "document" in the true sense of the word, rather a fawning, celebratory puff piece expanded to implausible lengths - it's less a movie, more a smug, overbearing infomercial. 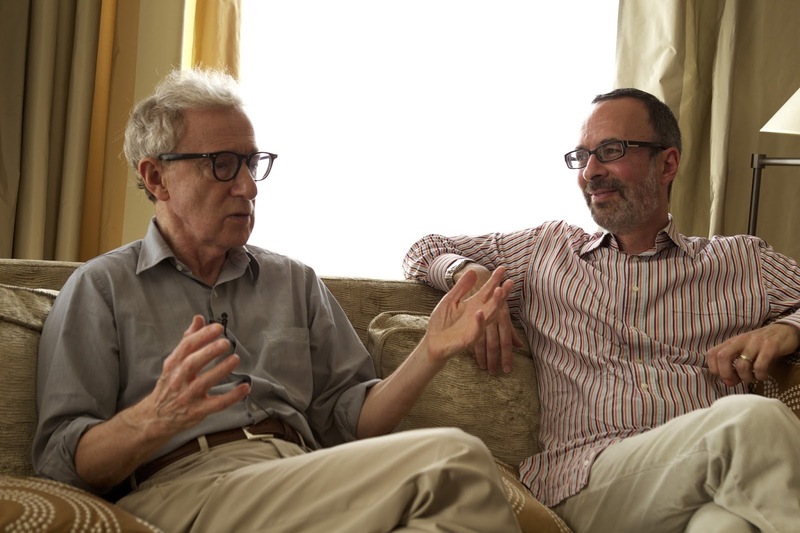 As much of Allen's career has centred around pushing fake, cynically packaged nostalgia, Woody Allen: A Documentary too aims at achieving this - this time, however, Allen himself is the subject. As bassoons and clarinets provide a sonic background, Allen and an assortment of talking heads guide us through the director's career chronologically offering lots of facts but little in the way of insight. Like Allen's own filmography the main purpose of this documentary seems to be to celebrate Woody Allen and never question anything he does. The feature suffers entirely as an artistic endeavor as Weide looks to push the "Allen as God of film" angle and, as such, misses a lot of truth or, indeed, anything interesting in the Jewish film-maker's story; Woody Allen: A Hagiography would have been a much more accurate title. The great tragedy here is that there's a remarkable and fascinating tale to be told about Allen one day, one which delves beneath the surface and explores the darkness in his soul, but this movie is not it, nor does it come close or even try. The more unsavoury aspects of Allen's life and career are quickly glossed over (his affair with his step-daughter, most of his films post-Manhattan) as they wouldn't fit in with the story Weide is trying to tell. It's an overly-congratulatory film which will leave those who are undecided or apathetic about Allen feeling rather cold. At least there's a nice soundtrack to enjoy. * For a great summary of all of Allen's cinematic failings, please read Hadley Freeman's Be Awesome: Modern Life for Modern Ladies. Her idea for a Woody Allen office comedy is much funnier than anything the acclaimed director has produced in decades.